The potential to transform Zambia in a generation. Northrise University began as a dream in the hearts of native Zambians and founders Dr. Moffat and Doreen Zimba in 1988. Recognizing the need for Christian higher education in Zambia, they left their careers to pursue the education needed to begin a university. Their faith journey took them to Australia and then to the United States. Moffat earned his Doctorate in Theology at Fuller Theological Seminary and Doreen earned an MBA in Technology. In 2003, after years of petitioning the Zambian government for permission to start a new university, the Zambian Ministry of Education awarded Northrise University the first private university charter ever granted. With help from the recently formed Northrise University Initiative (NUI), the Zimba’s returned to Zambia and opened Northrise. In January 2004, Northrise celebrated the beginning of something very special with 50 students majoring in theology, business, and IT. Today, Northrise has enrollment of over 750 students and 314 alumni. The main campus, located on 640 acres of land granted by the local government, continues to expand with a new campus center, classrooms, dormitories and other infrastructure. The dream has become larger than ever imagined, and the future is bright! Zambia faces significant issues as one of the poorest countries in Africa. Over 85% of the population lives on less than $2 per day and opportunities to raise the standard of living are still limited. The children of Zambia continue to suffer from the devastating HIV/AIDS epidemic that left many as orphans and today over 12% of the adult population still suffer from this devastating disease. Access to primary and secondary education is still limited. Today, only 1 in 10 qualified high school graduates have access to public university education, one of the key elements of empowerment and change in developing countries. The cost of university tuition at Northrise is relatively low by global standards, about $2,400 per year. But even this amount is out of reach for many qualified, bright, motivated students who struggle economically. With a population of 15 million people, Zambia can be fundamentally transformed by developing highly qualified, outstanding Christian leaders who have a heart for the people and the needs of Zambia. One of the best ways to develop these leaders is through a high quality, Christ-centered university education. This is the vision of Northrise! Our scholarship fund has changed hundreds of lives, taking students out of poverty. 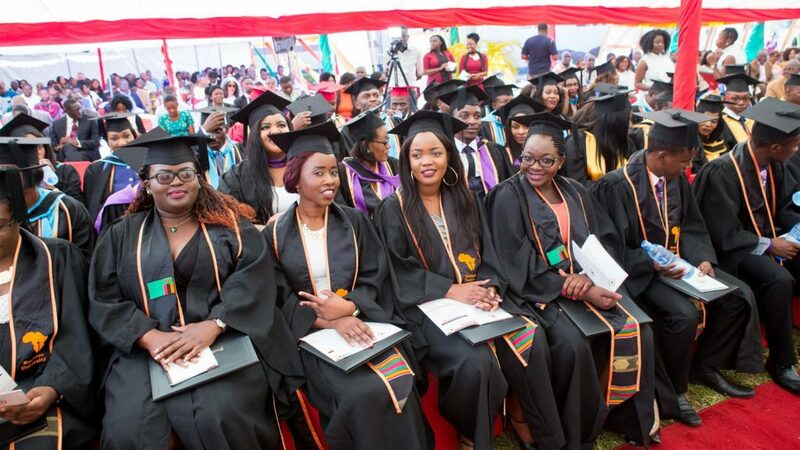 Scholarship graduates have gone on to lead in business, government, compassion, and education in Zambia. Through strategic partners with North American Partnerships such as Baylor University and Dordt College, Northrise is making fast strides in development of its faculty, programs, and facilities. Historically, Zambia’s economy has been heavily dependent upon copper mining, despite the resources, potential, and capacity for a more diverse economy. Northrise provides an education that empowers students and graduates to create and participate in a broader economy as entrepreneurs, managers, and government leaders. Graduates are developing new industries in Zambia, creating jobs and economic independence. Often qualified high school graduates who can afford to attend foreign universities leave Zambia and do not return. Northrise has successfully addressed this problem through developing an affordable, high quality university education program providing an opportunity for more students to stay in Zambia. In addition, Northrise has created a service learning program. As part of their core curriculum, students serve other Zambians on the streets and in schools and orphanages, creating community and hope. As a result, 99% of Northrise graduates remain in Zambia to improve their family, community and nation. Zambia has a population that tends to be either wealthy or poor, with a small middle class. The upper class is able to afford whatever they may need, but many do not interact with those of lesser means. Through scholarships, Northrise graduates are growing a new middle class, while teaching students from wealthy families to view others with compassion. As a result, Zambian’s are being empowered through education with resources to combat poverty right at home. NORTHRISE IS MAKING A DIFFERENCE IN THE LIVES OF ZAMBIAN STUDENTS, WHO ARE IN TURN CHANGING ZAMBIA INTO A MODEL OF ECONOMIC PROGRESS FOR THE REST OF AFRICA. The state of physical, social, and spiritual poverty moved Pastor Emil Mukuka, a Northrise University graduate, to establish a community school in Mapalo compound. Since inception, Mapalo Morning Glow Academy has worked with the local community to encourage parents and guardians to send their children to school. Brian Musentekwa, now an NU first year student, is a testimony of God’s blessing the interventional efforts of Mapalo Morning Glow Academy. Northrise has been blessed with growing enrollment and quality facilities. Graduates are in high demand, and new students are enrolling every semester. As we look forward to the future, we prayerfully plan to increase our scope. With a strong foundation and clear mission Northrise University is moving forward with plans to expand opportunities to empower the people of Zambia, ONE STUDENT at a time. In a country of 15 million people, Northrise can change the future of Zambia in one generation. The next chapter of this amazing story involves expanding campus buildings and infrastructure, adding program offerings and continuing to build strong relationships with our international academic partners. Consider joining us on the incredible journey to share hope and transform a nation. In just over 12 years, Northrise has grown to over 750 students across five different schools of study. Northrise has graduated 265 students who now serve Zambia through commerce, government, education, and humanitarian work. Northrise is becoming more operationally sustainable each year. The chart below demonstrates how the University is increasingly self-supporting operationally year-over-year (does not include capital projects). 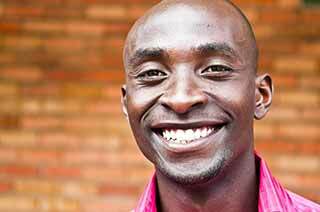 Sepiso is a Northrise Alumnus and successful entrepreneur. He launched a mobile car wash business in 2014 while majoring in Business Administration. What began as a mobile car wash has grown and gained a reputable name in office cleaning and landscape maintenance services. Piso Cleaning Services’ reputation has attracted the business of prominent corporations around Ndola. While Northrise is 80% operationally self-sustaining, scholarships from North America provide the opportunity for qualified students who cannot afford tuition to attend. These students are being introduced to Christ, growing as disciples, pursuing a high quality education, graduating, and entering promising careers. Graduates become lifelong Northrise supporters through the Alumni Association, investing in fellow Zambians through the scholarship program. Academic excellence requires a high quality and safe learning environment. The “Advancing the Vision Capital Campaign” was launched in 2015 with the goal of raising $15 million by 2020 to construct the Campus Center, classroom buildings, dormitories, faculty housing and a student center. To date over $3.5 million has been funded and the first phase of the master plan completed including the construction of the Campus Center. Much work remains to increase capacity to 2,000 students. Northrise forms strategic partnerships with schools and organizations in other parts of the world, helping to accelerate the growth and development of Northrise. From faculty development, and academic program support provided by Baylor University to education of local farmers through Dordt College, these academic partnerships are creating opportunities for growth and influence that were impossible just a few years ago.